Ride or die my car best friend. My car is great. It is 18 years old but it still runs really well. It is original owner bought it brand new and drove it for a year so it sat for 15 before I purchased it. It is only issue is it is oil leaks but other than that it is still a great car. Some of the interior pieces have broken off but nothing that affects the performance of the car. It is very low to the ground so beware of that. It was having issues accelerating a little while ago, but it seems like the issue has gone away. It does not work well in the snow and probably is not the safest in the case of car accidents, but in optimal conditions it is a good car. The sporty car is a great vehicle for the cost. The car body style is small and sporty. It comes with T-tops which is an excellent visual to the car, their great in the summer. It rides smoothly and handles like a champ. It gets good gas even though its a sports car. The car is exceptionally fast if you care to drive it that aggressively. It is a 4 passenger vehicle however it really only seats 2 comfortably. If your looking for a roomy car or one for the family this is definitely not the car to purchase. 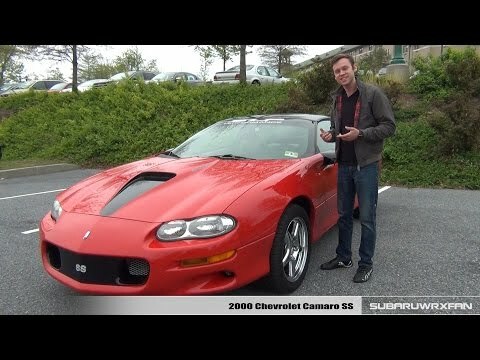 Jim's awesome Camaro review. ! I love my Camaro it's very comfortable, reliable, very fast, and it is the best purchase of my life. I haven't had to put it in the shop. don't have any leaks for being 18 years old I wouldn't trade it for the world. The only problems I have had would be the technology at the time wasn't where I would of wanted it. I wish there was a way to upgrade would be so awesome.